One or more photo(s) has been virtually staged. 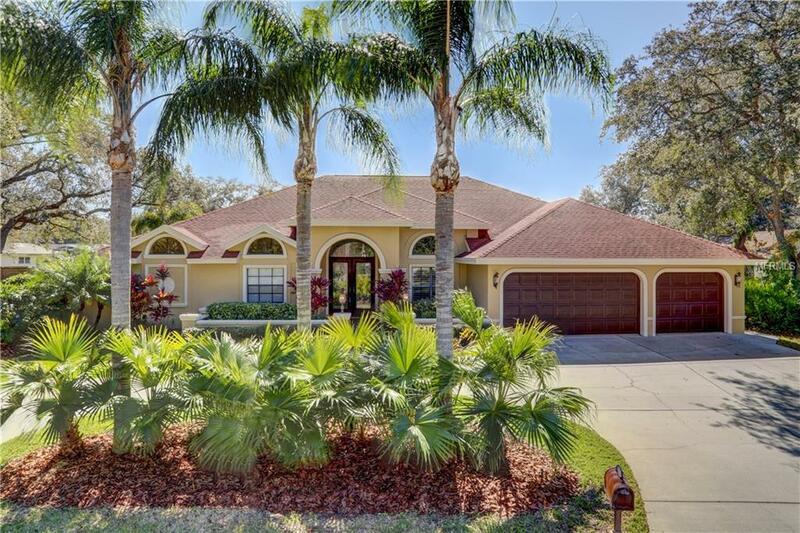 STUNNING Executive Pool Home LOADED WITH UPGRADES nestled in the back of a QUIET CUL-DE-SAC on close to a HALF ACRE LOT in the HIDDEN GEM OF DUNEDIN Weybridge Woods! 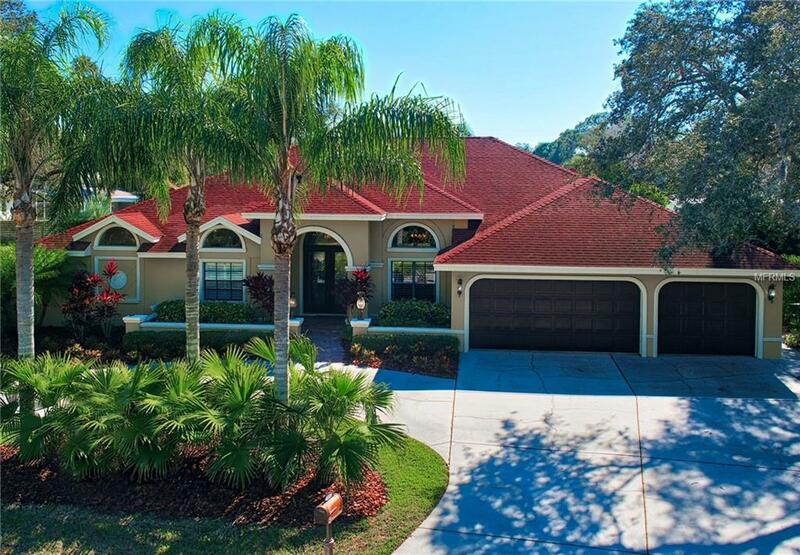 The impressive entry features a CIRCULAR DRIVEWAY w/Landscaped Island & large PAVERED FRONT PORCH leading to the beautiful custom leaded glass entry doors! 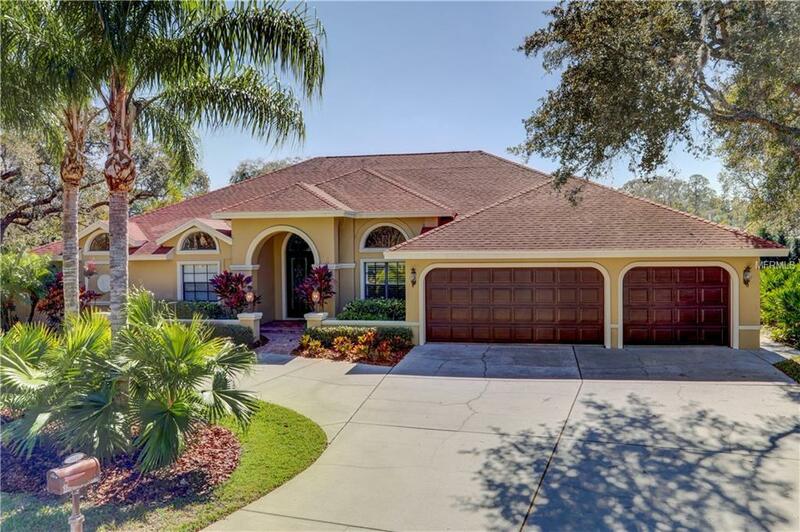 This GORGEOUS HOME features an open & very functional floor plan w/5 Bedrooms + Large Office/Den, 3 Full Baths, 2 Half Baths, 3,120 Sq Ft, 3-Car Garage, Huge Pool & Spa package, Large Laundry Room, TANKLESS WATER HEATER. Fall in love with the HUGE CUSTOM GOURMET KITCHEN w/Supersized Stainless Refrigerator, 5-Burner Gas Range, Convection Oven, OVERSIZED ISLAND w/Exotic Granite Counters & TONS OF GORGEOUS CABINETRY for abundant storage! LARGE MASTER SUITE features 2 walk-in closets, 2 linen closets & BEAUTIFUL MASTER BATH w/large walk-in shower, tub , private W/C, custom Cabinetry, Granite counters & Wood Shutters! Entertain on the BEAUTIFUL Screen Enclosed Pebble Tec Pool w/Brick Pavers, Walk-Up Bar, Shower, Gas Spa & Private Pool Bath! New custom Vinyl high velocity, energy-efficient Sliders just installed ($14K) in LR & FR, garage features installed transfer generator switch (big plus)! 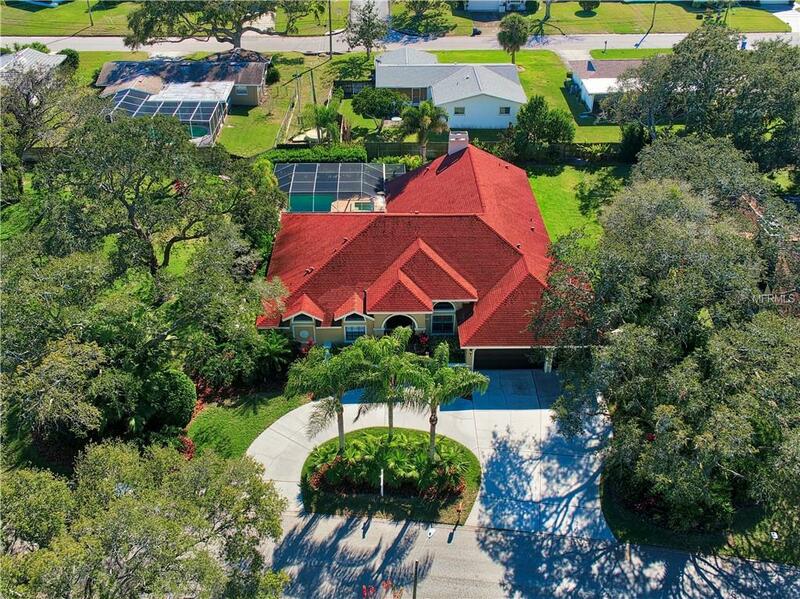 Enjoy being minutes away from Beautiful downtown Dunedin w/Trendy Shops, Restaurants, Bars & minutes to one of Floridas most popular beaches GORGEOUS HONEYMOON ISLAND STATE PARK! Welcome home to the Florida Lifestyle!